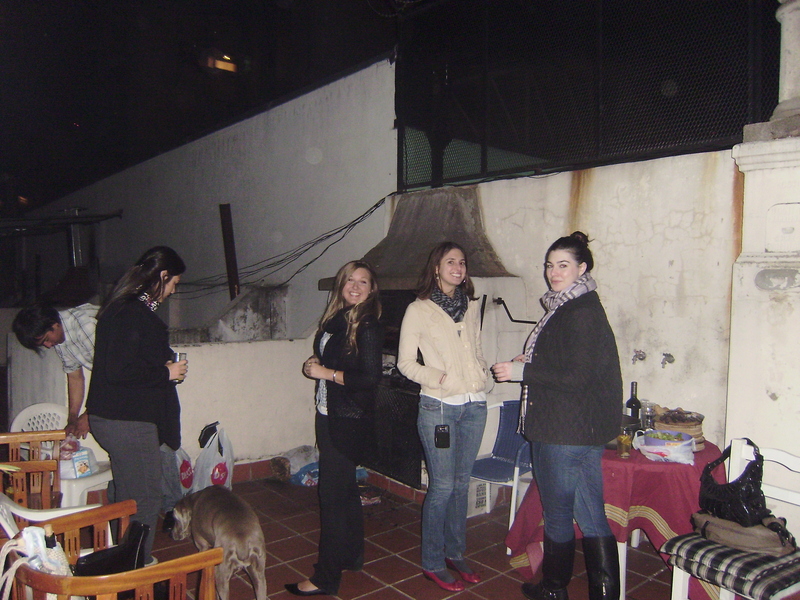 Preparing an asado is an all day affair. In the morning I went to the butcher to purchase the meat, which is inarguably the most important part. I selected 2 kilos of vacio, 1 kilo of tapa de asado and 1 kilo of chorizo. In case you’re not counting …. thats a lot of meat. The butcher reccomended 1/2 kilo per person – which would be 5 kilos for 10 people. I bought 4 kilos and we had 1 kilo leftover. I guess Americans just can’t eat that much meat! Then I spent the rest of the day cleaning the house, and slicing fruit for sangria. Around 9:30pm we started the fire. 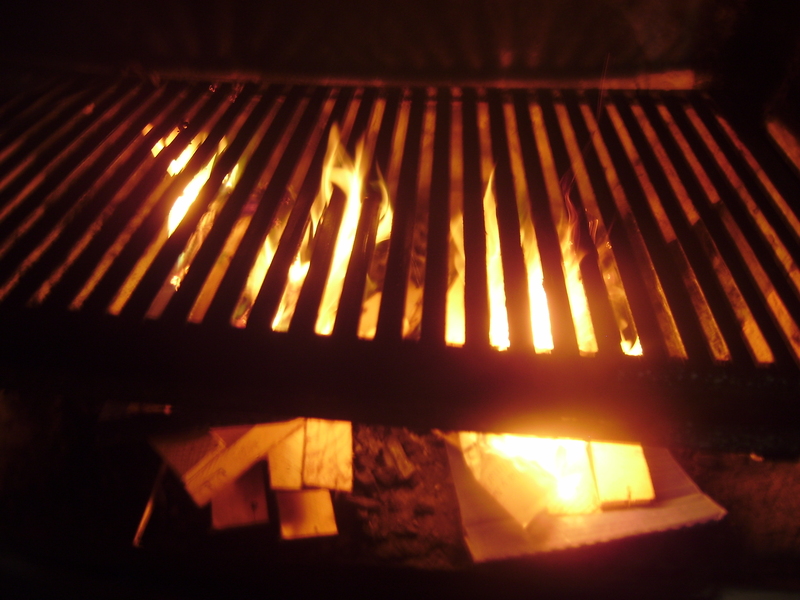 There are so many rules for an asado, and many of them apply specifically to the fire. It is important that the meat is cooked over red hot coals. So the fire must be started about an hour before the meat is placed on the grill, where it is cooked for about another hour. And here is the group, waiting to eat. 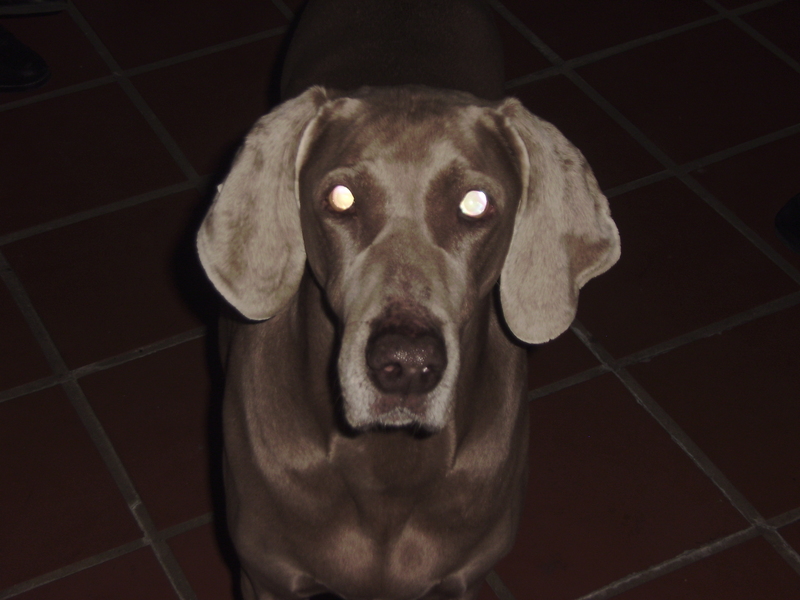 And here is Nube the dog, going totally crazy from the smell of cooking meat. And to think I used to be a vegetarian ….. Try looking up Alejandro Frango. He is a Professor and a food expert. He was our tour guide 10 years ago, but doesn’t do that anymore. He is concentrating on the study of food. Ohhh, yes. Those dogs are spoiled… They eat better meat than most people in the world, and snub on balanced food. This is why there are so many dogs. 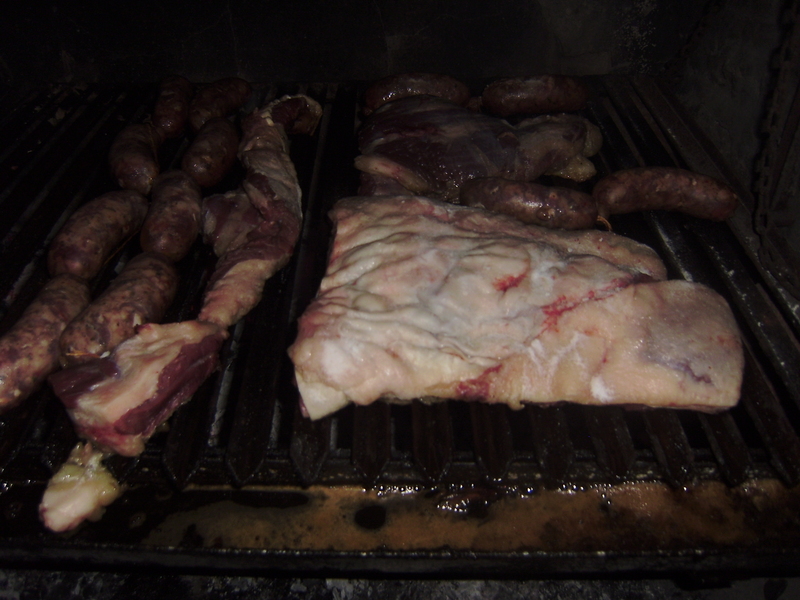 They are asado disposal machines.